Tension continues to mount between the supernatural and human factions on The Originals, as Klaus continues to act behind Elijah's back. 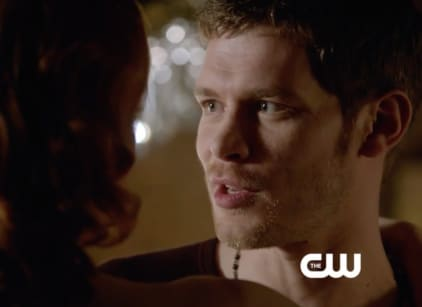 During the Fete de Benedictions, both Klaus and Marcel show their hands angering Elijah and Genevieve, as well as forcing Hayley to choose sides. The interruption at the party has deadly consequences. When Klaus is unable to help Cami with her uncle, Cami goes to Genevieve herself.